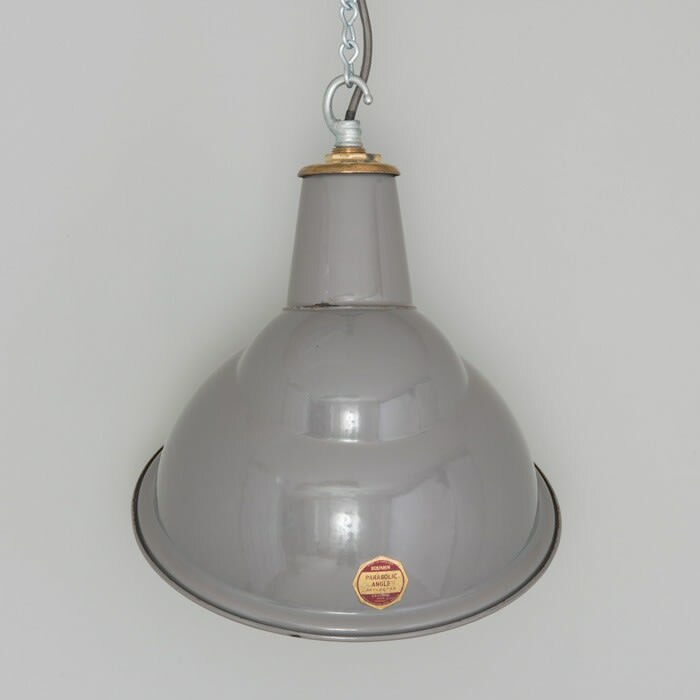 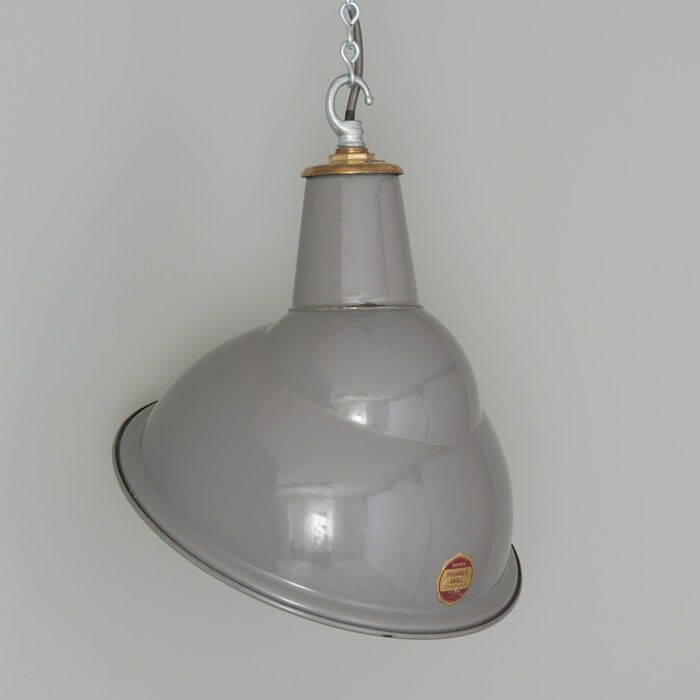 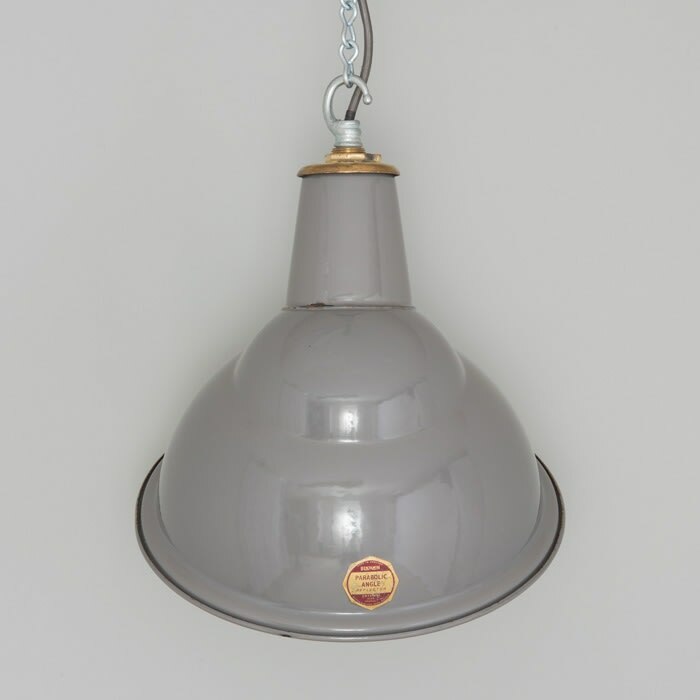 A large run of industrial parabolic pendant lights by British manufacturer 'Benjamin', which were salvaged from a 1950s electrical substation in the Northwest of the UK. A polished brass gallery features cast detailing, along with the original manufacturer's labels which are still intact. We don’t only piece together the light’s components, we take the time to investigate its history. 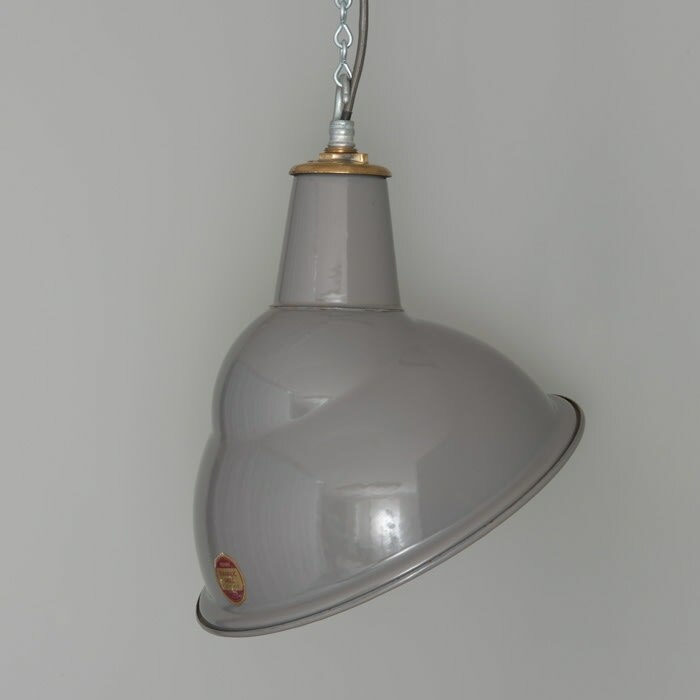 This extract is from our own internal archive, an original 1950s Benjamin Electric Ltd catalogue.